All Lebanon homes currently listed for sale in Lebanon as of 04/19/2019 are shown below. You can change the search criteria at any time by pressing the 'Change Search' button below. "Prime development land with endless possibilities. The overlay Zone is C-RM which is intended to accommodate a wider variety of housing types and more intensive land use than the RL Zone. The city is receptive larger luxury lots at the top of the ridge along with phasing in some higher density housing to balance it out. This is a one of a kind location with unparelleled pastoral views of the valley while providing easy access to Lebanon"
"This luxurious riverfront farm has 34 acres developed into hazelnuts and has an additional 100 acres of good tillable, irrigated river-bottom ground that could support orchards, berries or just about any other crop typically grown in the Willamette Valley. The home and grounds are designed for entertaining large groups at several locations. The living room and massive dining room have walls of windows which invite your attention outside"
"173.13 +/- acre, certified organic farm. Contract (seller financiing) possible with large down payment. Previous use was dairy. Great for grass fed beef or dairy. Barns, sheds, misc. outbuildings. Comfortable 1-level house with brick fireplace + wood stove. 50 +/- acres of highly productive Mcbee silty clay loam - suitable for hazelnuts. Water rights from Crabtree Creek. Current use is pasture/hay. S end of property is wooded." "Remarkable estate with room to spread out inside and out. From the dramatic entry staircase to the gourmet kitchen to huge master suite and the massive entertaining room complete with pool table, this is one impressive home and property. The fenced acreage is suitable for any livestock with 67x80 barn, also a 60x150 shop with 16' ceilings, 4 large bays, heat & AC, plus another 36x96 shop. Efficient geothermal heat pump/AC, RV hook up." 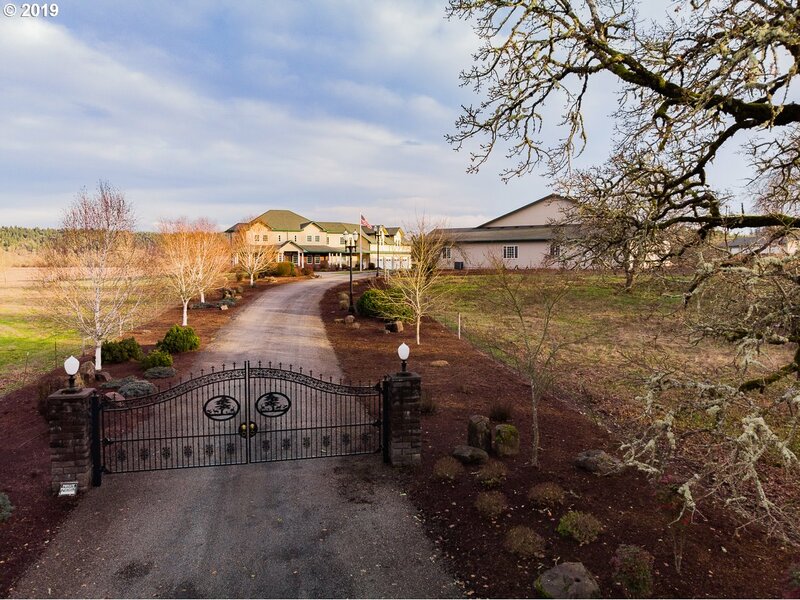 "Beautiful Custom Home on over 18 acres of timber & pasture w/irrigation rights. Custom cabinetry, granite counters, tile floors, walk-in pantry, tall ceilings/doors, propane 20kw generator, sunroom, & upstairs could be converted into separate guest qrts. Master on the main & 4th bed on 2nd level. 3 ponds, UG sprinklers, new Trex decking, paved drive, orchard, fenced pasture & approx 10 ac of Doug Fir in tax deferral." "This is the one you have been dreaming of! Gorgeous 3,000+ SF home built in 2018 on over 7 acres of land! Quiet and serene with that great out of town feel! Includes a shop, room for RV parking and a pad, a deck perfect to relax or entertain, 2 wells,& tons of your own space for your toys and projects! Inside this super cute newly built home you will find SO MANY beautiful features! Such a turn key home with all of the bells & whistles!" "4,000sf Log Home is nestled among the timber on over 5ac of property. Includes 3800sf shop & 4500sf barn. Rustic 3+ bed home has kitchen/dining/master&guest beds on main floor, 3rd bed upstairs, finished daylight basement & 4-car garage. Propane furnace/heat pump & wood stove in 7-bay shop. Has furnace w/AC, water heater, insulated, 220 power,concrete & pad in front, and water. Barn has 5 stalls, tack room, approx 3ac fenced pasture." "Country living at its finest! Almost 80 acres with everything you have been dreaming of! Perfect spot for your horses or animals! 7200 SF Arena, 900 SF Machine Shed, 1004 SF Shed/Shops, and 3504 SF Barn/Stalls!! Zoned partially as forest and partially farm use! Features a lovely 3 bed 2 bath spacious farm home with a cozy wood fireplace, heat pump, converted garage/den or rec room, and a covered deck! All of the peace, quiet." "Unique, gorgeous home on almost an acre & set up for home business!! Features a detached 2 car garage w/ studio above w/ heat & half bath. Plus a 2000 SF shop roughed for an apt w/ 14 ft doors, 220 power, & 400 amp SVC. 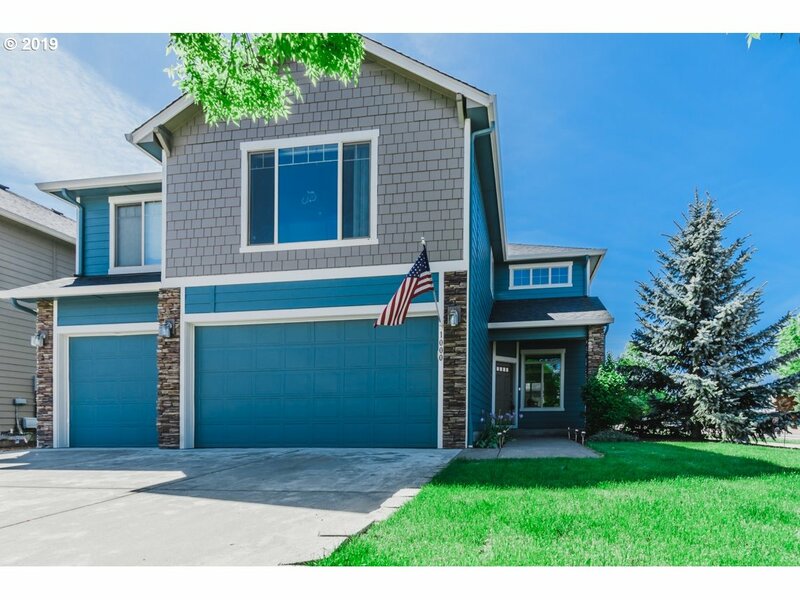 Inside has granite counters, hickory floors&cabinets, vaulted ceilings, tons of natural light, huge master w/ jacuzzi tub, mud rm&laundry, &more! Outside you'll also find new asphalt in 2018, fully auto UG sprinklers!" "100 gorgeous acres with Deer, Elk and wildlife!! 3 Tax Lots! Completely fenced, 40 acres of Pasture, 60 acres with merchantable timber, year round spring feeds pond, barn, cattle shoot, several storage sheds, apple and pear trees, ck coup, 40x52 barn with stalls hay storage, finished rec room for entertaining, the list goes on!!! So much opportunity & potential here! Beautiful views from your spacious home, so quiet and peaceful!" "Gorgeous home on 8 acres with that cozy, country, out of town feel you have been longing for! 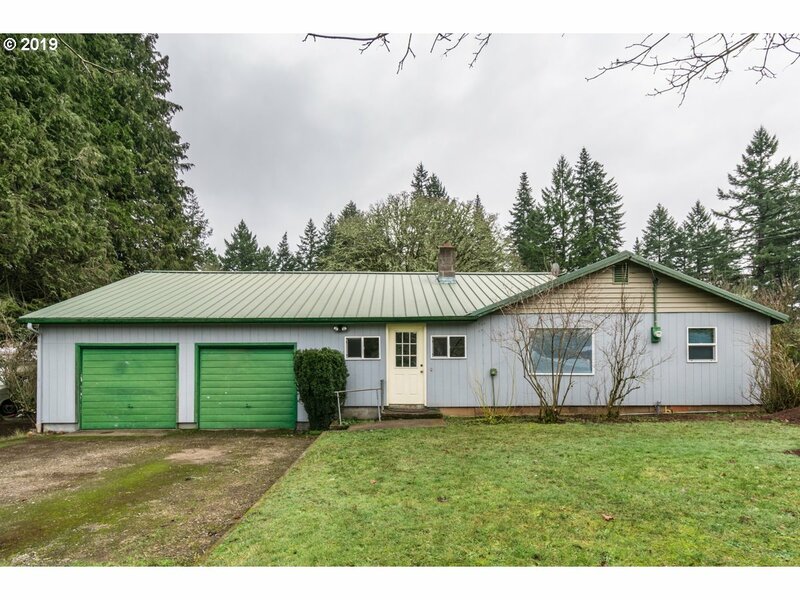 Spacious 5 bed, 2 bath home w/ a big and bright kitchen recently remodeled in 2013, canning kitchen, mudroom, AC, large bedrms, cozy fire place in living rm, built in storage, lots of granite throughout, new roof, μch more! Serene outdoors&your own space! 30x40 barn with cement floor & 110, chicken coop, 2 wells, room for your toys, & a winte"
"Gorgeous home on almost 8 acres, with that out of town quiet feel you've been longing for! Red oak & hickory hard wood floors, crown molding, big laundry room, super cute kitchen with freshly re done cabinets, 2 water heaters, addition to home in 1998, office/den, wood blinds, and family room! Outside youll love the pond, seasonal creek, pasture, 36x48 barn, fruit trees, brand new roof, newer exterior paint, and tons of your own space!" "BE THE FIRST TO CALL THIS PLACE HOME! 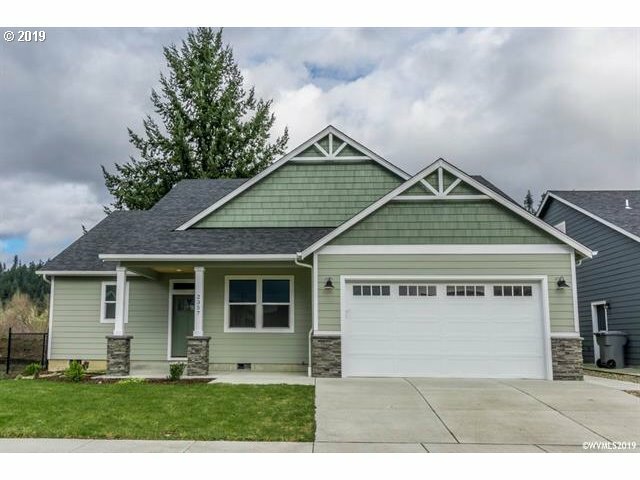 Brand new construction in desired neighborhood right next Riverview School and the Santiam River! This home features a cozy fireplace in the main living space, tall valued ceilings with bright recess lighting & a bonus room. 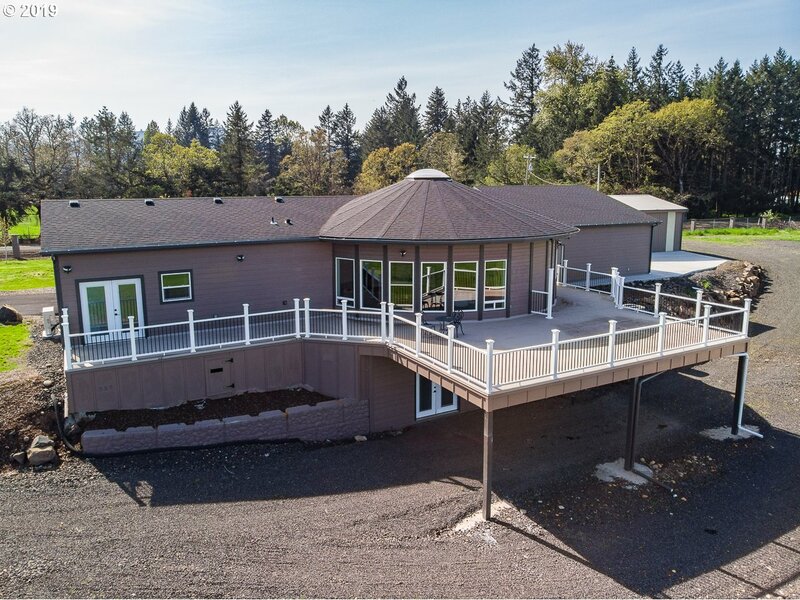 Outside features include a fully fenced yard that overlooks the Santiam River, nearby walking path, beautiful Mountain View s & underground sprinklers." "Spacious and beautiful home sitting on a peaceful 2.87 acres of land in a quiet out of town location! This 2000 SF home gorgeous and ready for you to call home, it has 3 bedrooms downstairs and 1 dorm bedroom upstairs (over garage)! Outside also includes a 864 SF Barn, a shop, and a small greenhouse!! Plus tons of room for your toys or hobby's! Garage has cabinets, work space, and storage, plus the room upstairs!" 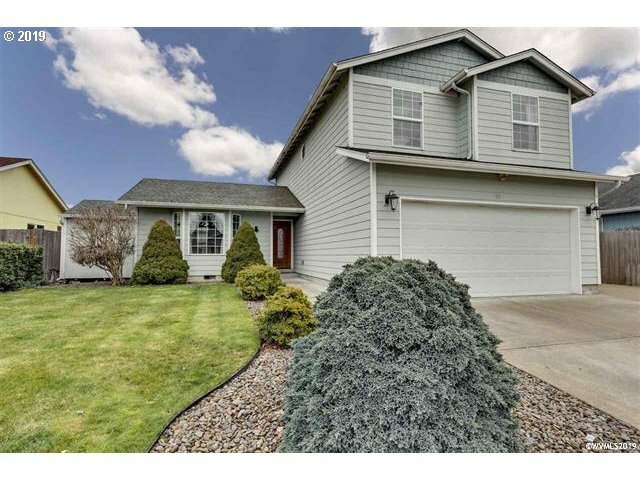 "Gorgeous & spacious 2 story well kept home in a cozy, comfortable, & great neighborhood! 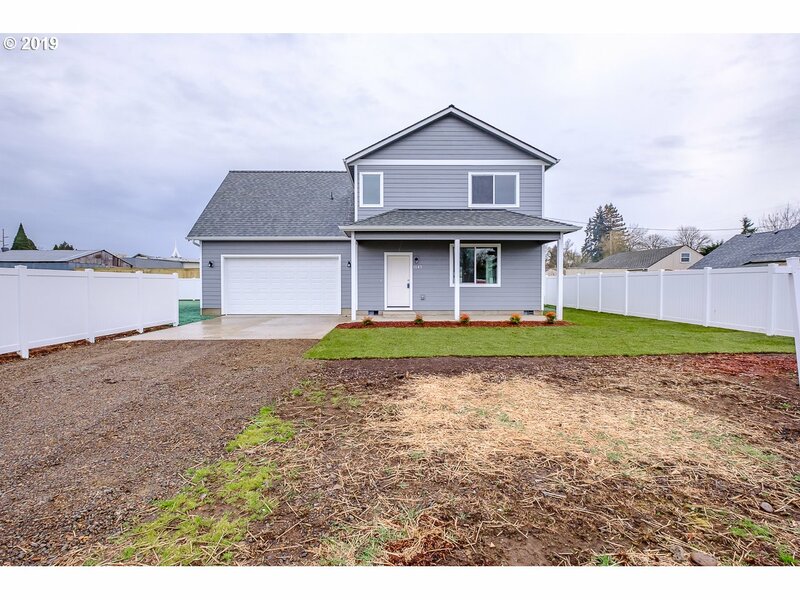 This spacious 4 bed, 2.5 bath home includes a large 3 car garage, brushed stainless fixtures and hardware, a gas fireplace in the living room, a big master with a large bath, large family/entertainment room upstairs, Santiam River views, office w built in shelves, heat pump & much more! Full privacy fenced yard, patio, close to trails, schools & pla"
"Gorgeous home in a quiet wooded setting out of town on over an acre of property! Well kept, beautiful landscaping, green house, back deck, covered front porch, new gutters, 2 car garage, cedar roof, and a natural slough & creek! Inside this spacious home features vaulted ceilings, big bright kitchen w/ breakfast bar & island, granite counters, SS appliances, maple cabinets and floors, wood blinds, bonus room upstairs! THIS IS IT!" "Quiet and private property with beautiful views. 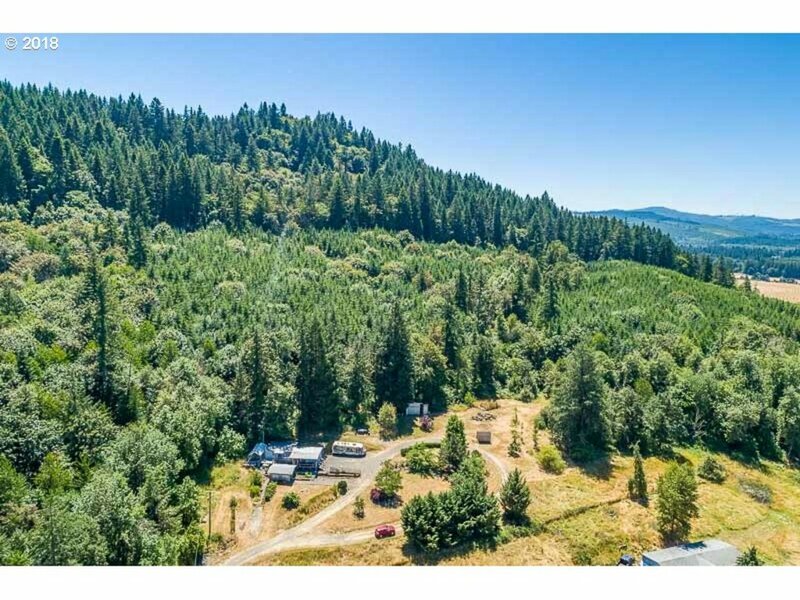 Additional home site on top of hill w/even better views! 100 gpm well. Raised garden beds, fenced in garden, 2 small outbuildings, 27 acres of 20yr Doug Fir and over 30 types of trees around the house including apple, plum and prune. Newer water heater, all plumbing and electrical updated in 99 and vinyl windows. Large Mudroom and Master has large walkin closet. 2 miles to golf course." 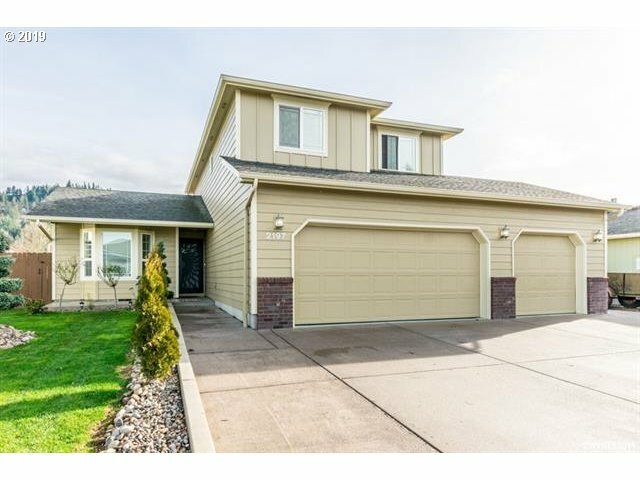 "Spacious home w/vaulted ceilings in living room(w/bay window) & gas fireplace. Large Kitchen w/island, SS appliances, double stove & tumbled marble opens to dining room area & family room. Full bath & 2 smaller bedroom on the main level. Upstairs is 2 bedrooms & large master with vaulted ceiling, full bath, & duel sinks. Updated walk in closet. 3 car garage has cabinets, great for lots of storage! Backyard has shed & Gazebo." "This recent build is now upgraded & ready for you to make your own. Open living space w/ dark stained cabinets and tasteful colors and accents. Nice sized bedrooms are all located upstairs. Some river views! Master suite has vaulted ceilings, walk in closet, dual sink vanity, and shower. Front and back landscaping is in. Covered patio with room to expand. Fully fenced!" "Lovely home on almost a half an acre in a quiet cozy location! This spacious 2262 SF home features vaulted ceilings, SS appliances, newer water heater, cozy wood stove, office, forced air, and so much more! NEW in 2016 includes well, siding, and wiring! Outside there is room to park your RV or toys, a large partially fenced yard, and a covered deck great to entertain your friends or family or relax! This is the one you've been waiting f"
"Nice brand new home with a large yard. Home features an open living area and 1/2 bath downstairs along with a slider to access the patio and yard. Upstairs is the master suite, other bedrooms and bonus room/family room. Washer and dryer area are located up near the bedrooms. Bonus room has a closet and could easily be a 4th bedroom. Partially fenced with upgraded fence!" "Beautiful 2 story home in a great location! This home includes tons of amazing features including a big bright kitchen, tons of natural light, double vanity in the bath, central AC, spacious floor plan and much more! Very clean and well kept home! Large backyard with gorgeous landscaping and an RV pad! So much to love here! Make this your own!" "This 2016 built home located in a desirable neighborhood features 4 bedrooms & 2 bathrooms w/ the master suite on the main level. The spacious kitchen includes abundant counter space, an island, gas range & pantry for storage. There's a large bonus room upstairs, great for a family room or rec area. Partially fenced backyard w/ a patio & a welcoming covered front porch. Park inside w/ the attached double car garage, or store away items." "n the country but close to town, this charming home sits on a fully fenced one-acre property. 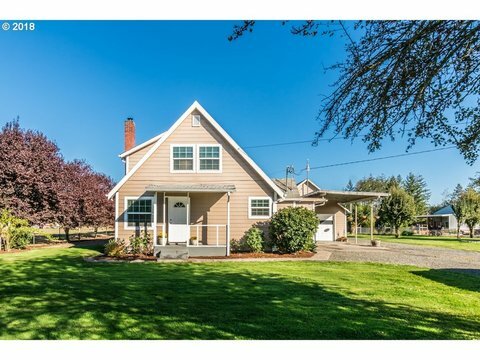 Home is over 1700 sf with master on main floor, 2 guest beds upstairs, cozy living room with wood-stove, large bonus/family room, formal dining room, newer flooring, and remodeled bathroom. Outside has great covered patio for warm summer mornings and shady evenings, plus covered RV pad, and plenty of room for a shop. Bring the whole family, pet"